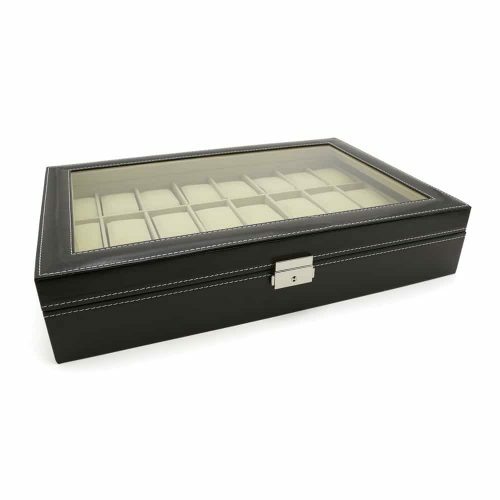 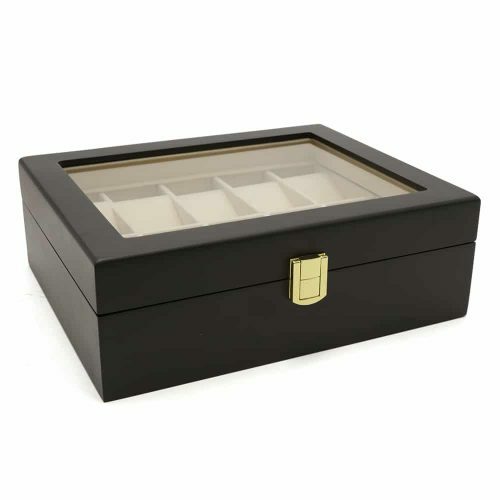 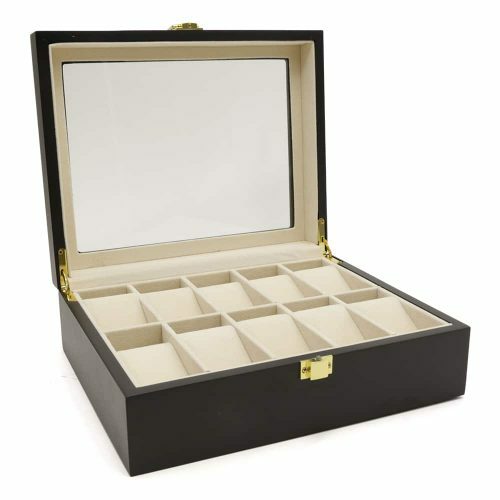 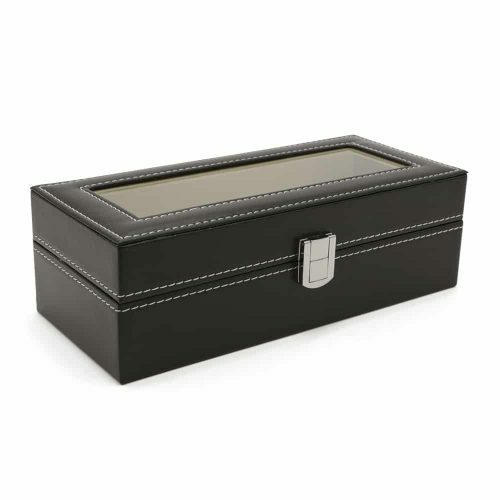 Protect your watches and other valuables with this Premium Dark Oak Glass Top 10 Slot Watch Box. 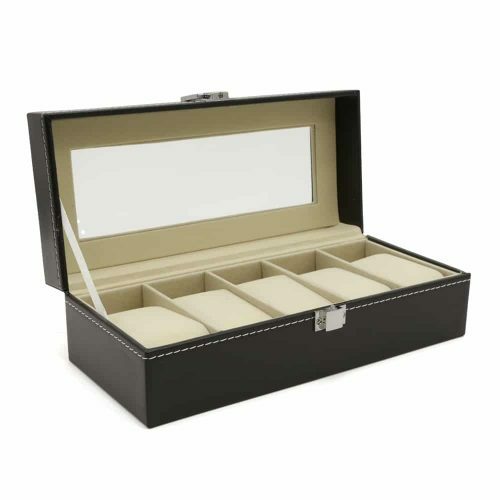 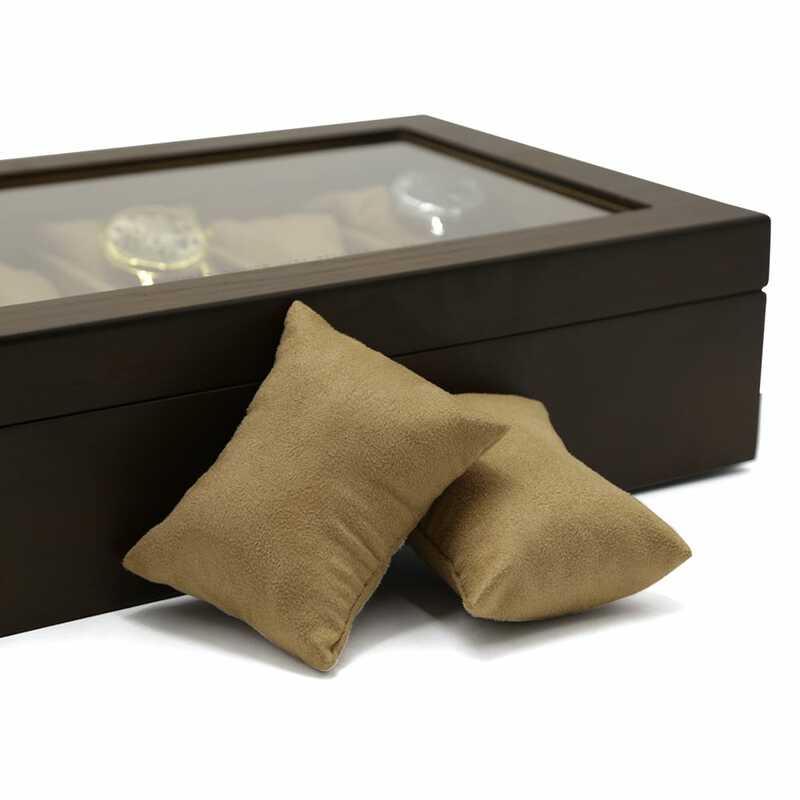 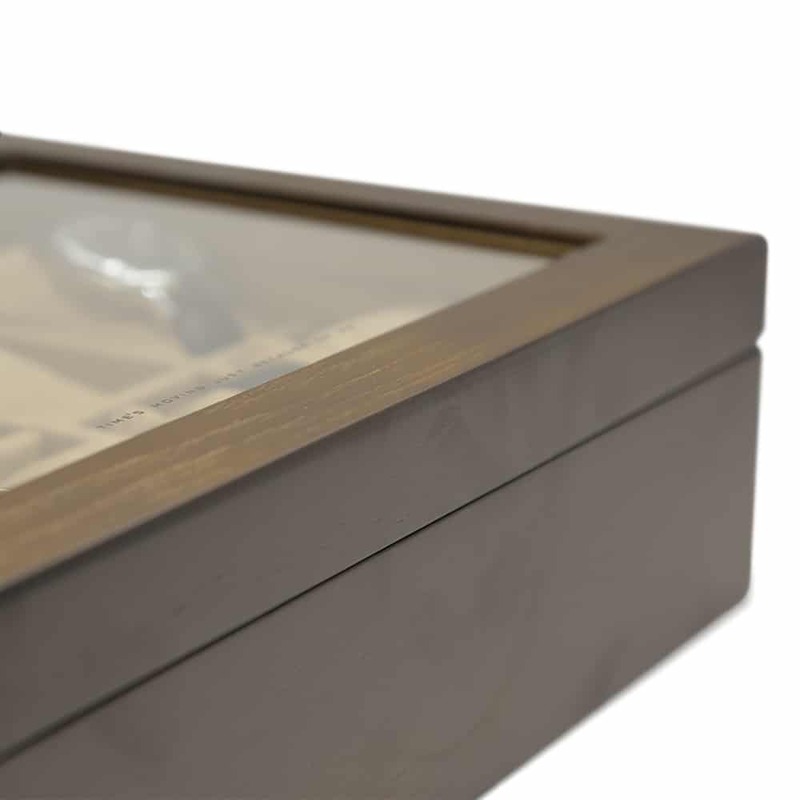 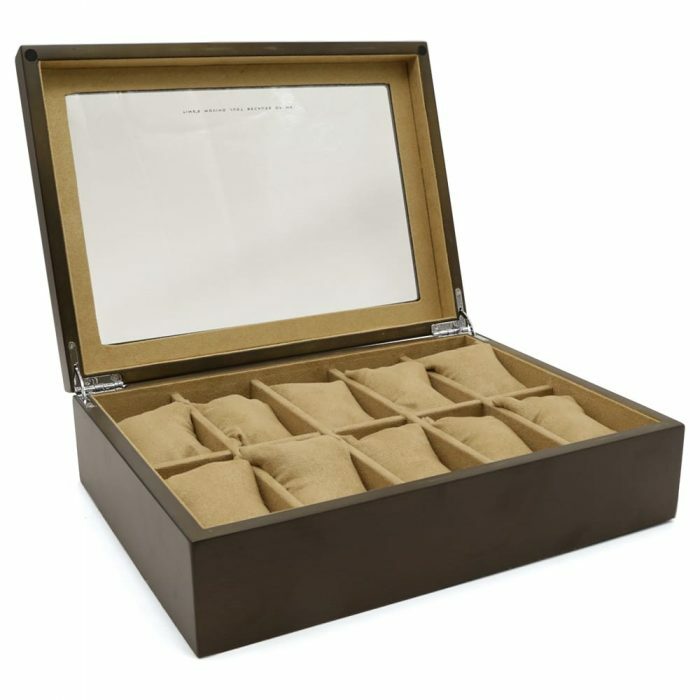 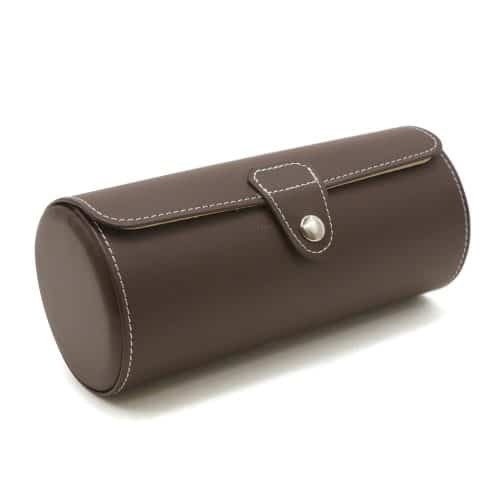 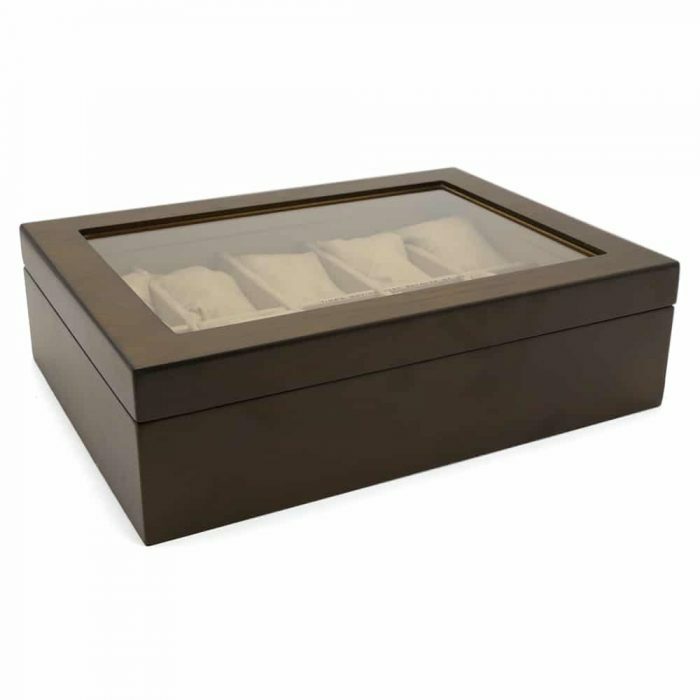 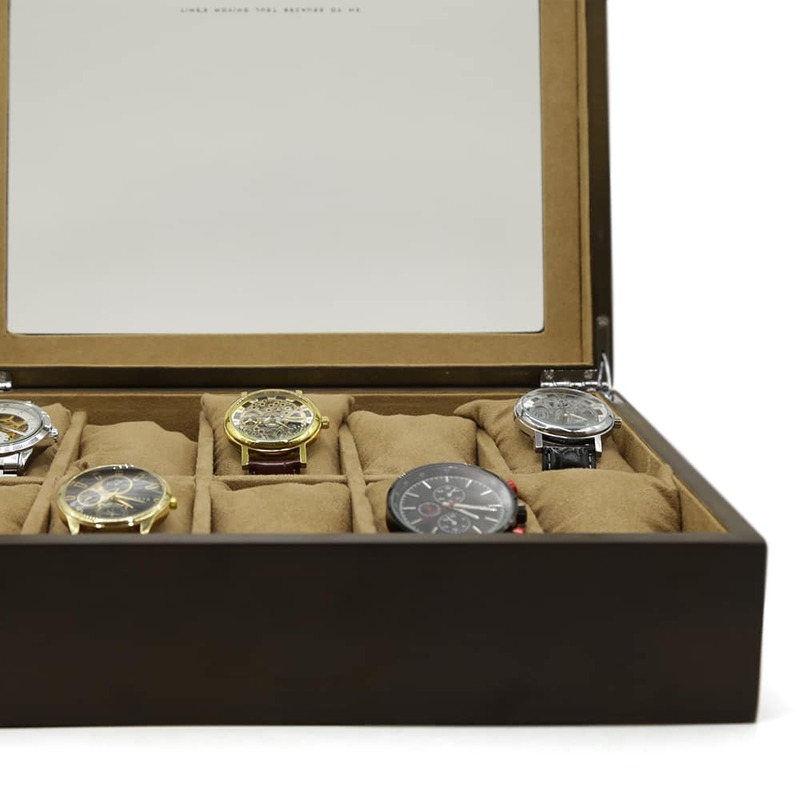 This durable wooden watch box comes with a matching soft brown velvet interior. 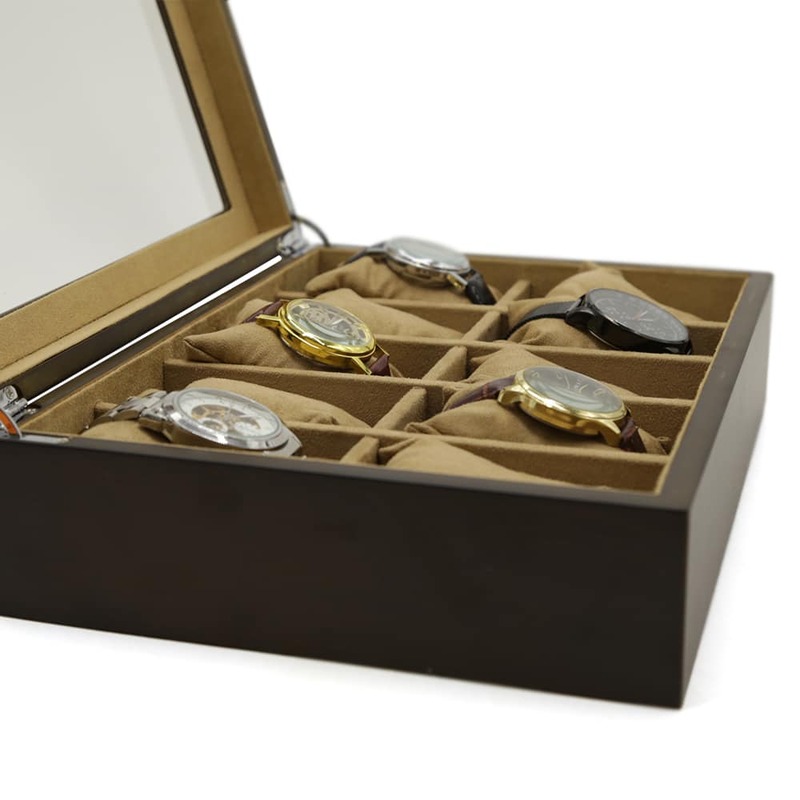 For further security, this wooden watch box also comes with a lock and key to ensure nothing happens to your valuables. 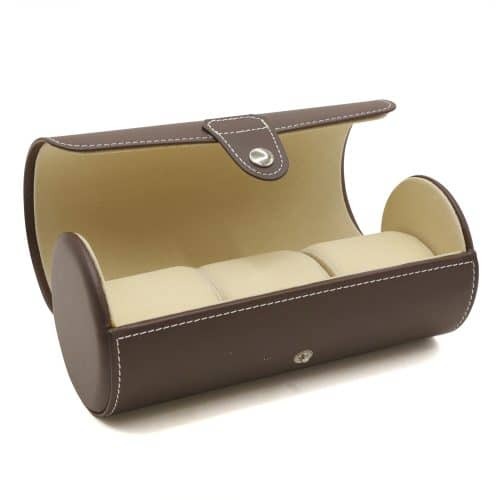 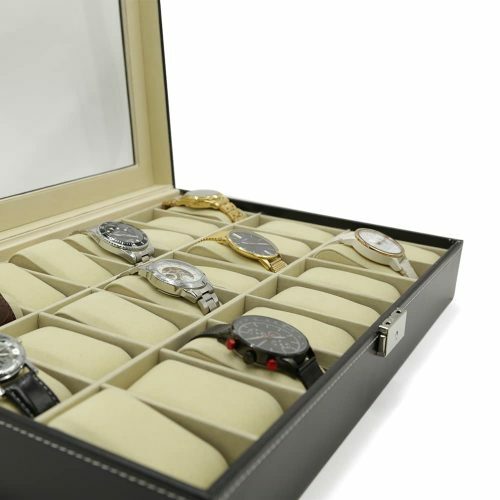 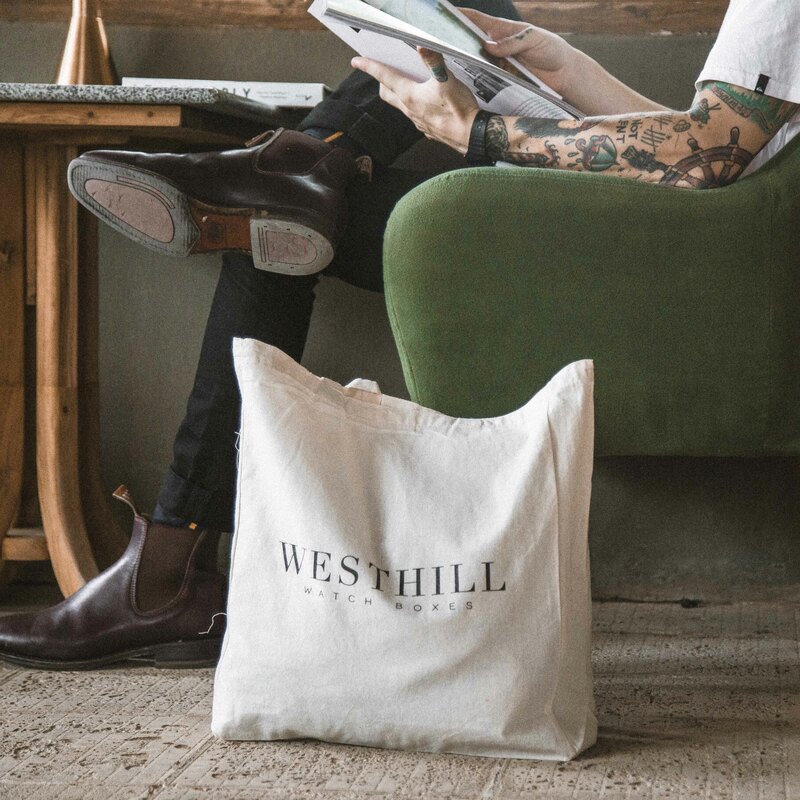 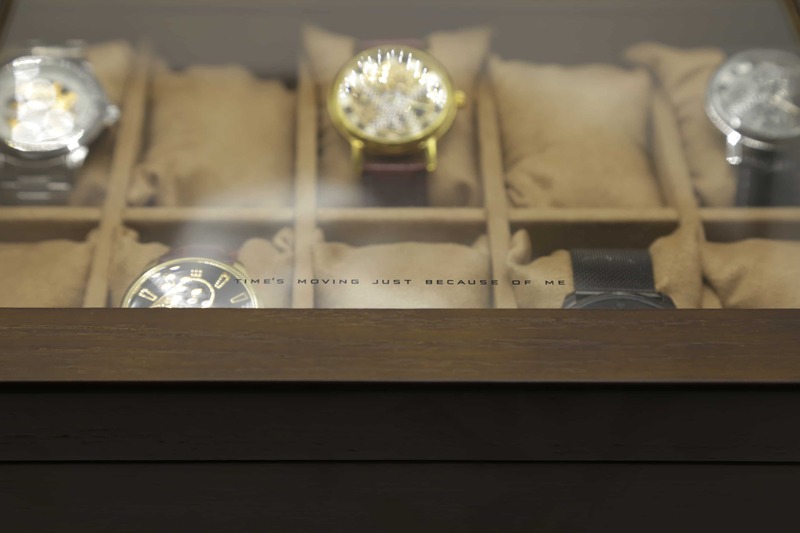 It comes with extra soft cushions for each of the slots that can hold your collection of fine watches.